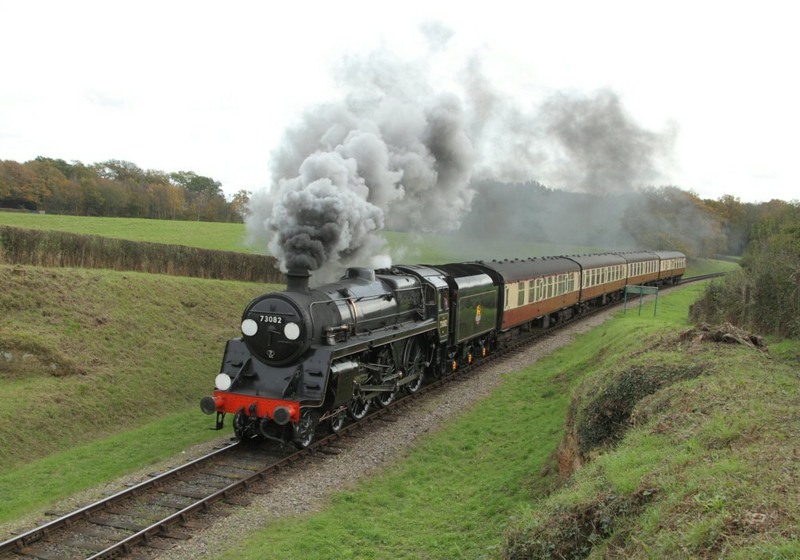 Traditional Afternoon Tea served as you steam through the beautiful Sussex countryside. Enjoy a relaxing journey, travelling in one of our four comfortable 1950/60's lounge or restaurant carriages on our dedicated Afternoon Tea train, the Wealden Rambler. Your traditional afternoon tea includes a choice of luxury teas (coffee is also available), along with a selection of delicious sandwiches followed by mouthwatering cakes, tarts, scones and shortbread. The Wealden Rambler runs on most Saturday afternoons. some weekday afternoons, and other special days throughout the year from February to October. The train departs at 2.45pm (Feb, Mar, Oct) or 3.15pm (Apr-Jul) from Sheffield Park station for a 1¾ hour return journey to East Grinstead and back. Wealden Rambler specific vouchers purchased prior to 13th April 2019 remain valid until their expiry date and may redeemed with no extra cost payable.